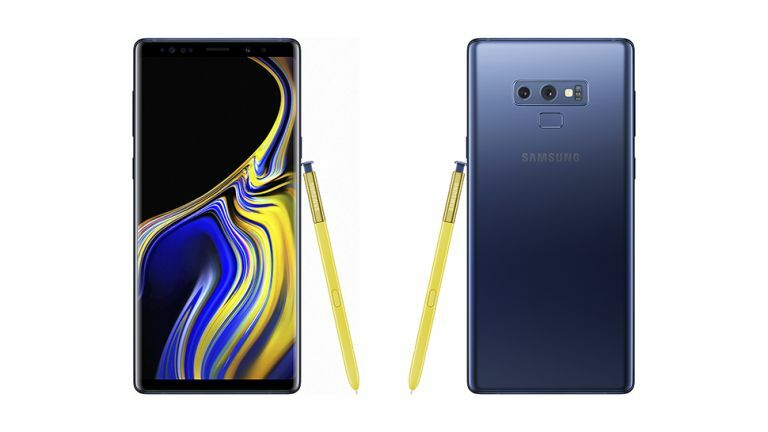 There's a new Note in town, the Samsung Galaxy Note 9 – and you're probably wondering how it matches up to the Galaxy Note 8 we saw last year. Well, we're here to tell you everything you need to know, and will compare the two phones in all the crucial areas. With the Note 8 still on sale for a lower price, and still running fine for those who made a purchase last year, upgrading to the newer model is by no means a given. Here we'll explain some of the specs and features that might tempt to into buying the newer model. Not a great deal has changed between the model from last year and the model from this year – indeed it's hard to think how Samsung could improve on what is already an excellent design. Most buttons and features are in the same place, though the fingerprint sensor and dual-lens camera on the rear change position slightly. The screen size does get a little larger this year at 6.4-inches. The biggest change in terms of design are the colours of the S Pen and the phone itself, with four to choose from: blue, copper, black and lavender (depending on your region). You would expect a specs bump from one year to the next, and we got one with the Note 9. It features a faster Exynos 9810 or Snapdragon 845 processor (depending on your region) compared with the Exynos 8895 or Snapdragon 835 of the Note 8. This time around the maximum RAM goes all the way up to 8GB, if you want that much, while the storage tops out at a huge 512GB. On the Note 8, the maximum configuration you could get was 6GB of RAM and 256GB of storage space. The dual-lens camera gets a slight tweak but nothing major, matching the 12MP + 12MP rear facing snapper found on the Galaxy S9 Plus. You should be able to get some very good shots from the Note 9. It's that new S Pen that's the star of the show here, bringing Bluetooth and some extra tricks to the party. Samsung also gave us a sneak preview of Bixby 2.0 at the Note 9 launch. Otherwise the features of the Note 9 are broadly speaking very much the same as the features of the Note 8. The in-screen fingerprint scanner will have to wait for next year. Just like its predecessor, the Note 9 offers wireless charging, fast charging, a USB-C port and a 3.5mm audio port. The phone is IP68 rated for dust and waterproofing, and also features a microSD card slot for expanding the storage even further, which is all the same as last year too. The Note 9 might not add a whole lot to the Note 8 formula, but the Note 8 was a fine phone. The internal specs get a bump, and that faster performance is reason enough to think about upgrading to the newer model. Another reason is that improved S Pen, capable of doing more besides just writing on the screen, and selecting menus and options. It should make the Note 9 even more useful as a productivity tool. If you're happy with your Note 8 (or Galaxy S9 phone) then the Note 9 isn't really a compelling upgrade. For everyone else, it should be near the top of your shortlist.